Built between 1783 and 1786, the church appears as a solemn monument, standing out due to its narrow front in the Baroque style. 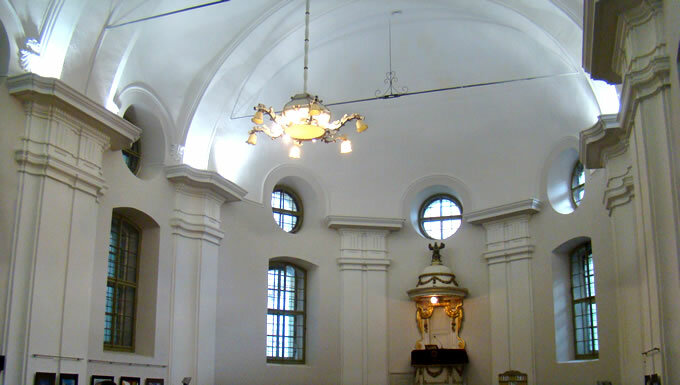 The serious interior, requested by the canons of the Calvinist cult, renders the image of a hall-like church with an apse. Placed on a platform sustained by two massive pillars, the organ stands out in the western part of the church.